Intimate Partner Violence means any situation where one partner in an intimate relationship tries to maintain power and control over the other person. We view the survivor as the person who the controlling behavior is aimed at. Our services are for the survivors and their children. Often, it is difficult to identify various forms of abuse, particularly when they are indirect or not as obvious as physical and/or sexual violence. 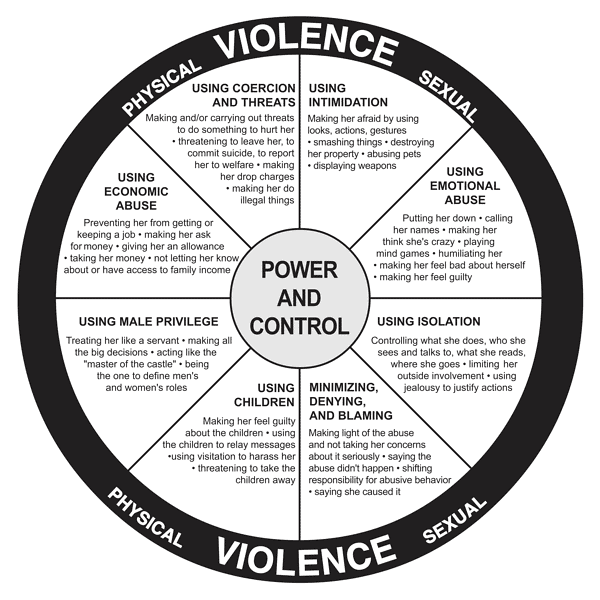 The YWCA Power and Control Wheel diagram is a particularly helpful tool in understanding the overall pattern of abusive and violent behaviors which are used to establish and maintain control over a partner.